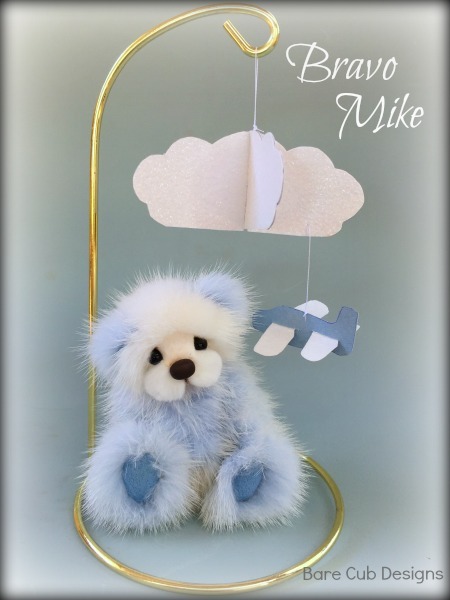 A Bare Cub Design, just 4 inches tall and just over 3 inches when sitting. 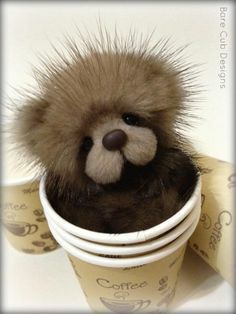 This cub is made from a fav. 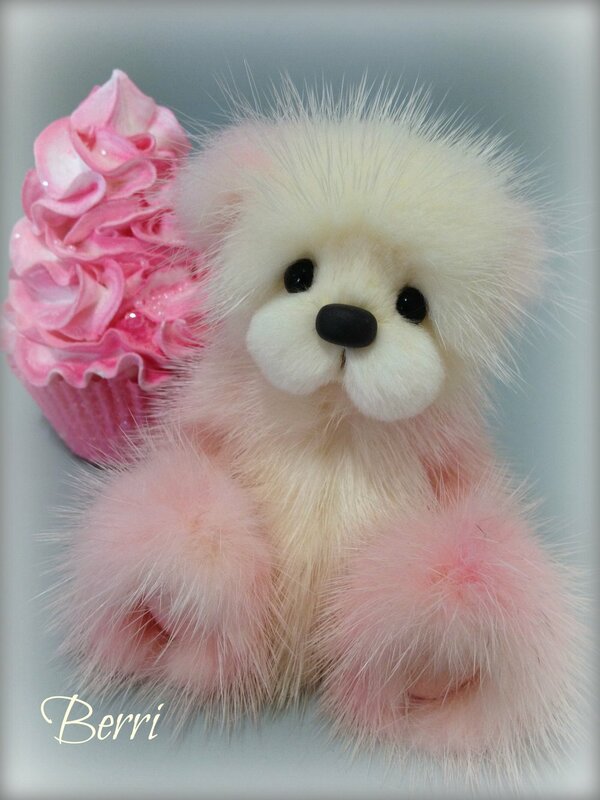 hand shaded strawberry and cream mink and has matching handed suede paw pads. 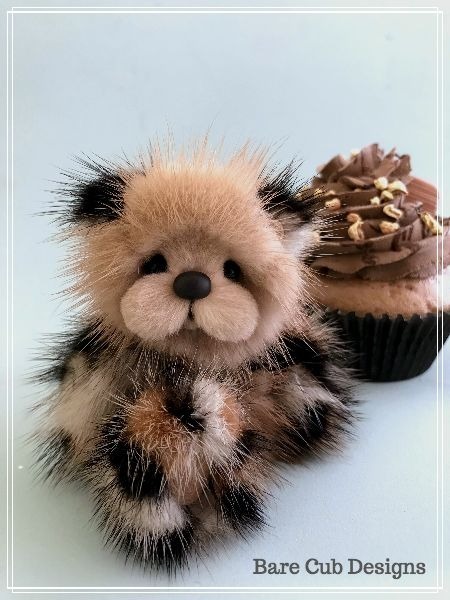 Sundae has a hand sculpted clay nose, lightly shaded black glass eyes and has been scissor sculpted to perfection for many hours to create those signature Bare Cub Designs fluffy cheeks! 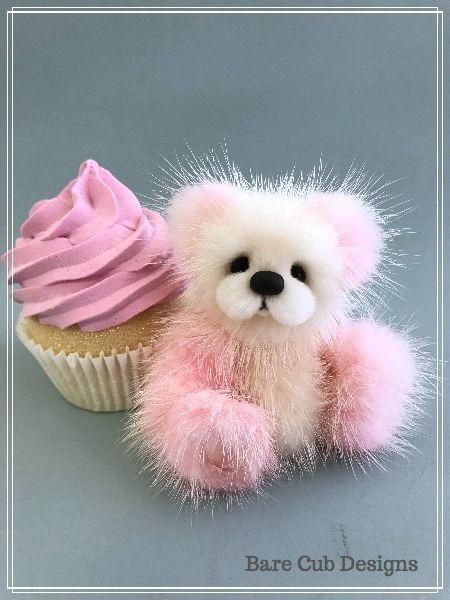 Sundae comes with a beautiful faux strawberry cupcake with very light sparkle. 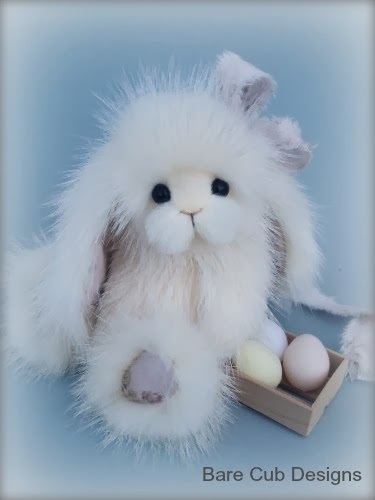 Sundae is now available for adoption for $499 US includes worldwide shipping. 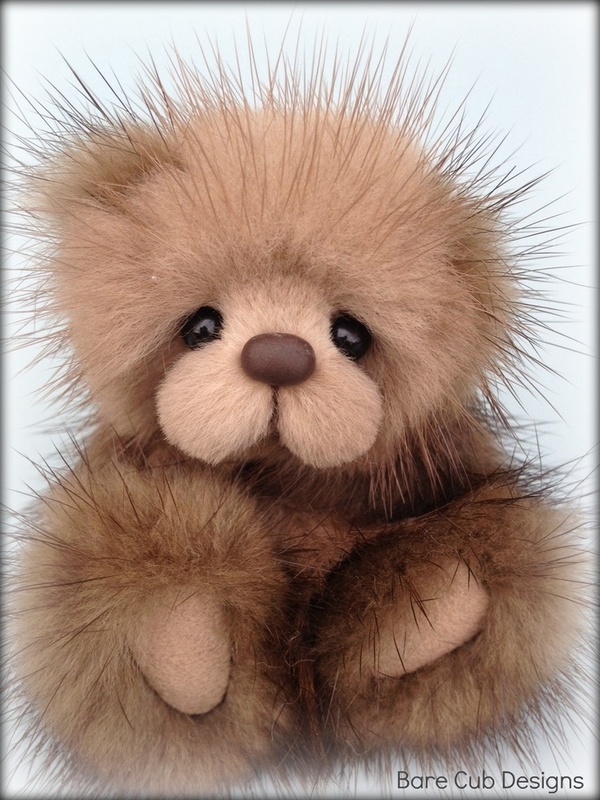 A new Bare Cub Design, at 4 inches tall and just over 3 inches when sitting. 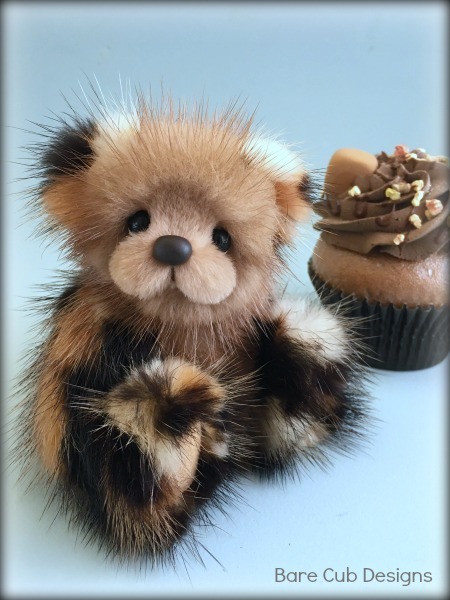 This cub is made from unique spotted and caramel mink and matching suede paw pads. 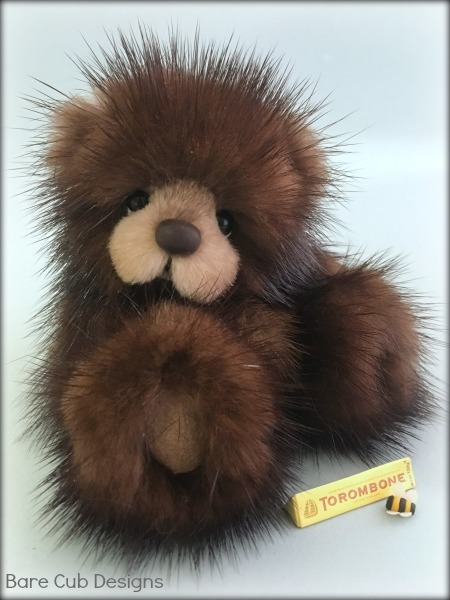 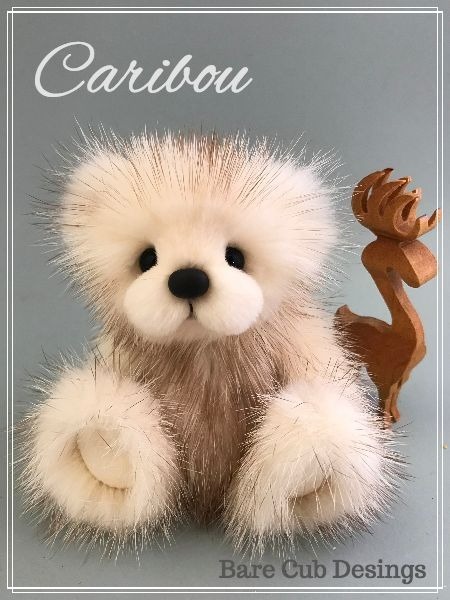 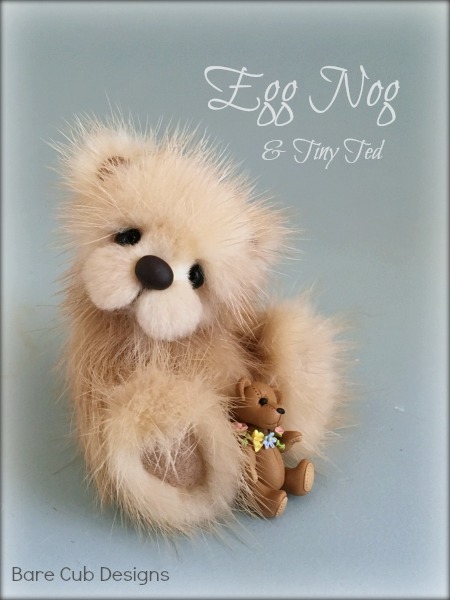 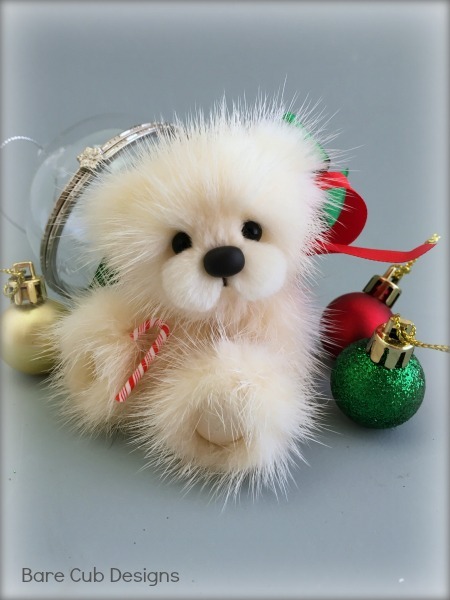 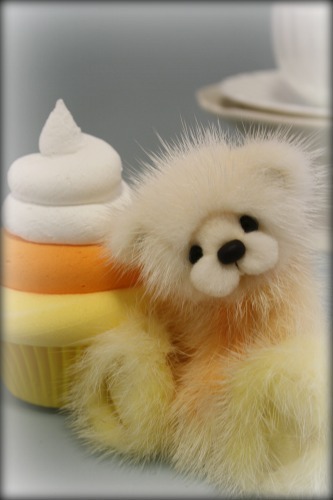 Caramel has a hand sculpted clay nose, lightly shaded black glass eyes and has been scissor sculpted to perfection for many hours to create those signature Bare Cub Designs fluffy cheeks! 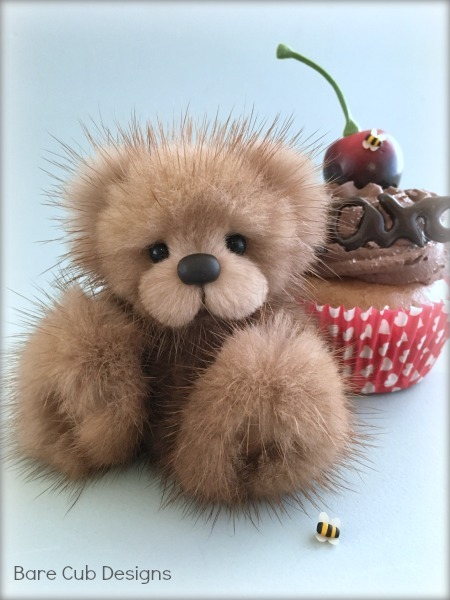 Caramel comes with a beautiful faux chocolate cupcake with a caramel square and sprinkled with nuts. 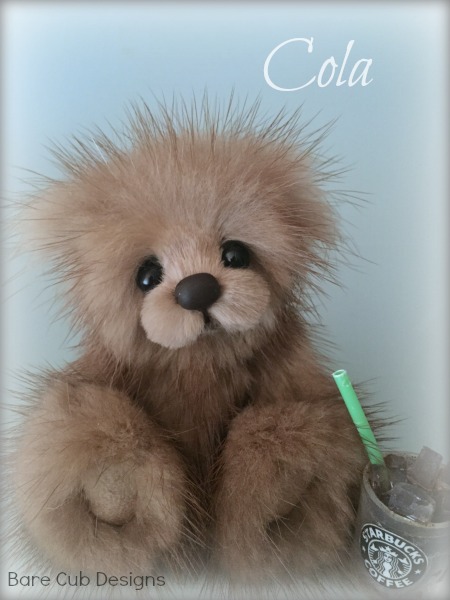 Caramel now available for adoption for $499 US includes worldwide shipping. 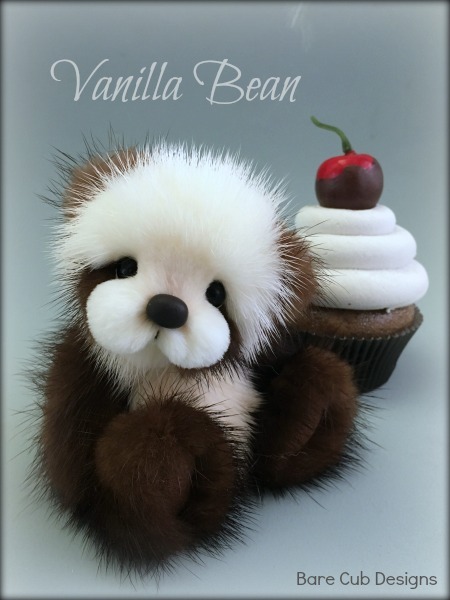 Sorry - Caramel has been adopted! 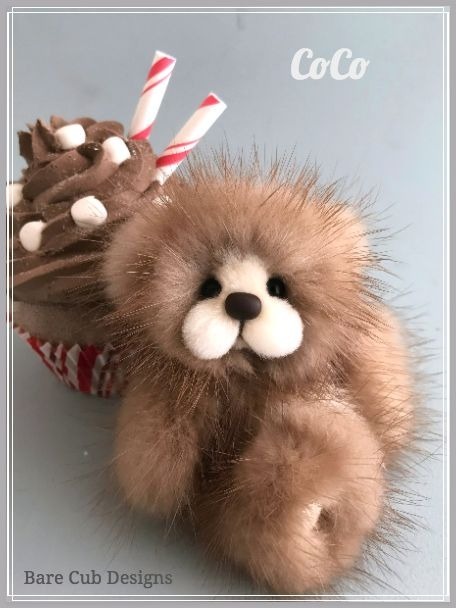 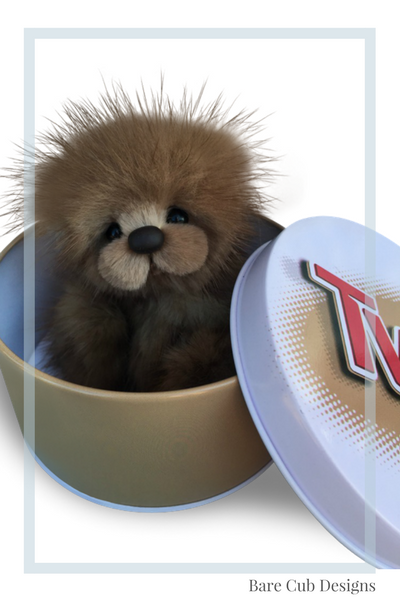 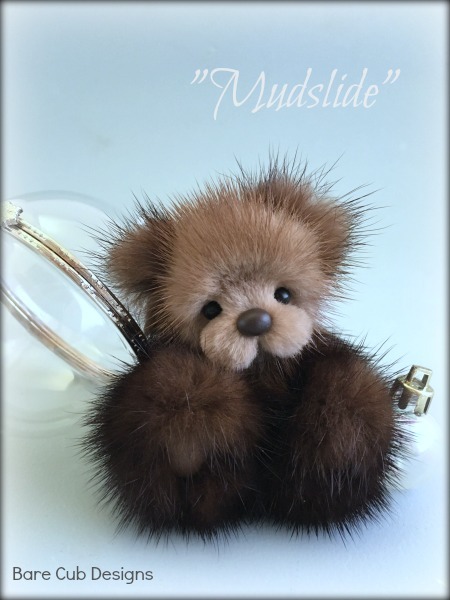 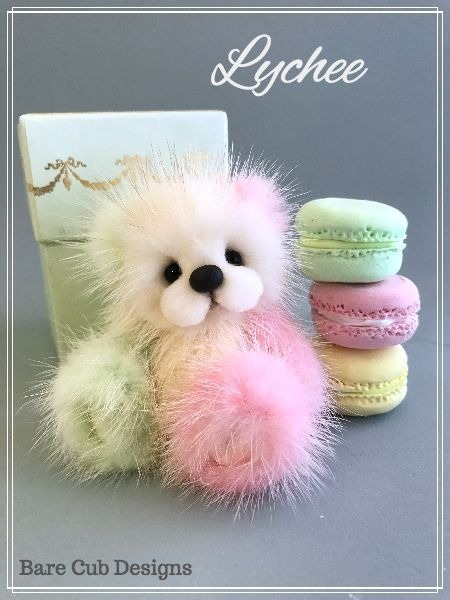 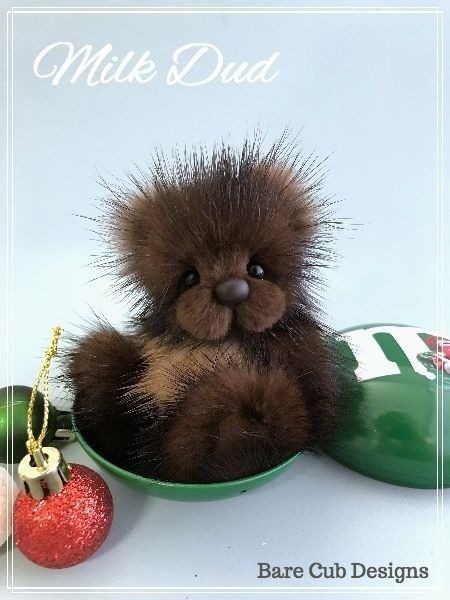 Nutella has a hand sculpted clay nose, black glass eyes and has been scissor sculpted to perfection for many hours to create those signature Bare Cub Designs fluffy cheeks! 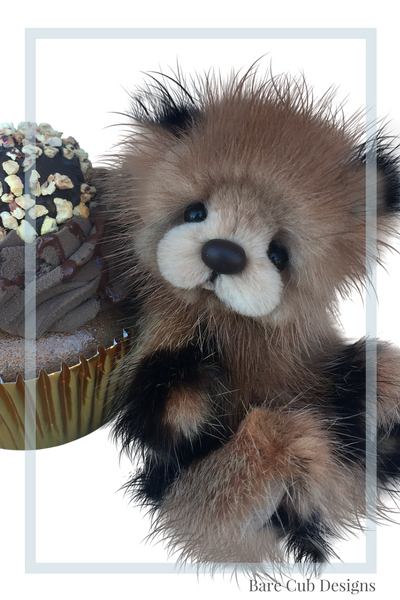 Nutella comes the sweet Nutella and cream, cherry topped faux cupcake. 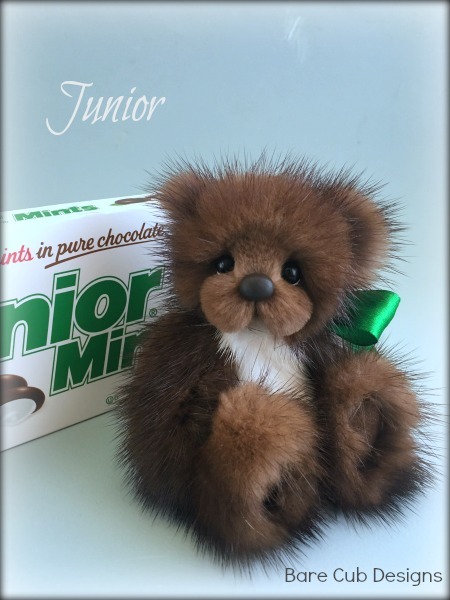 Sorry - Nutella has been adopted. 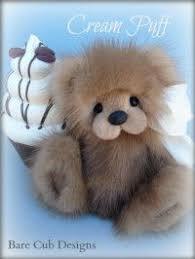 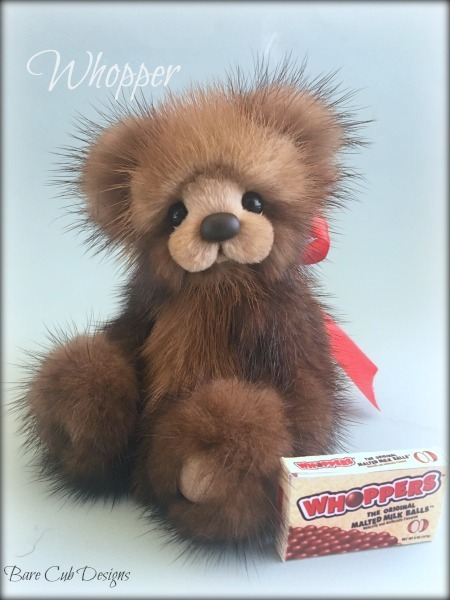 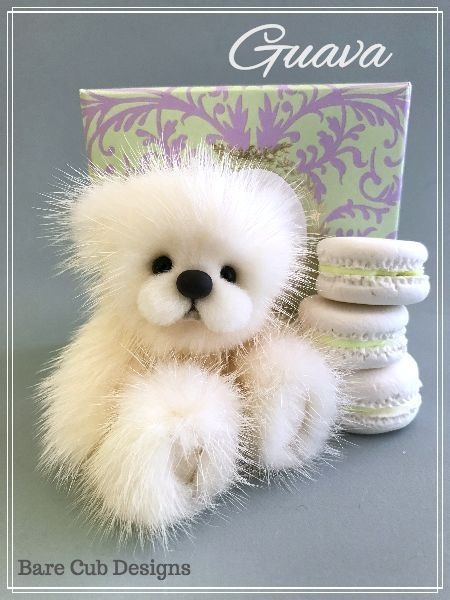 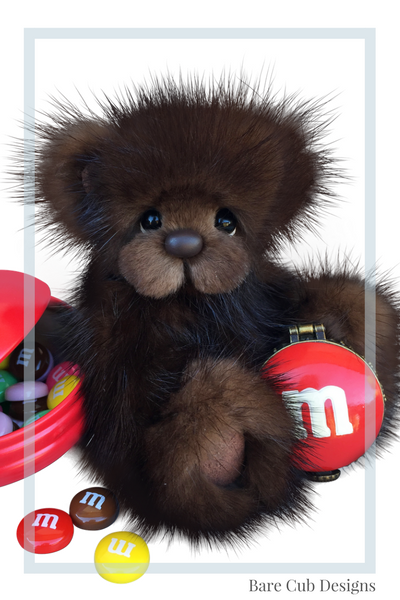 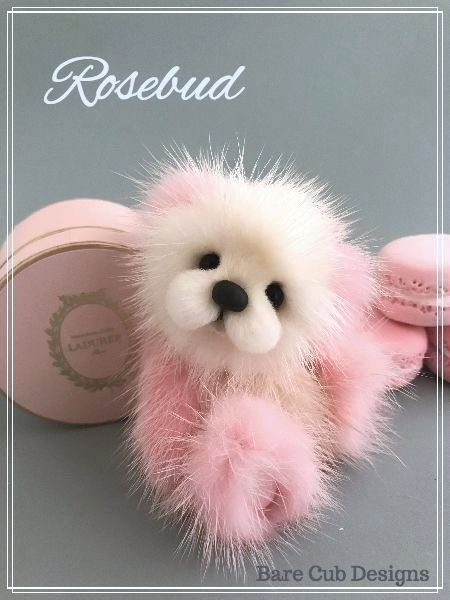 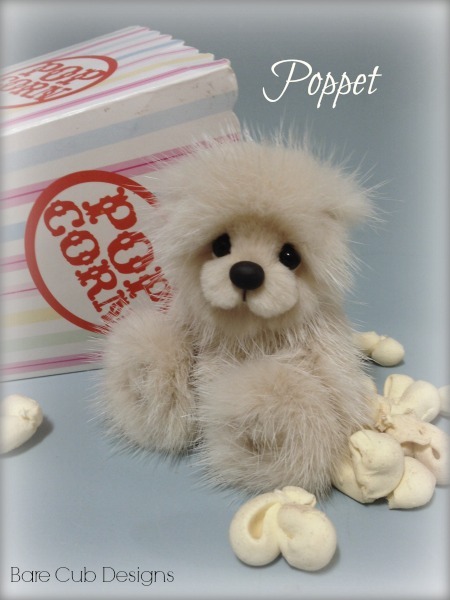 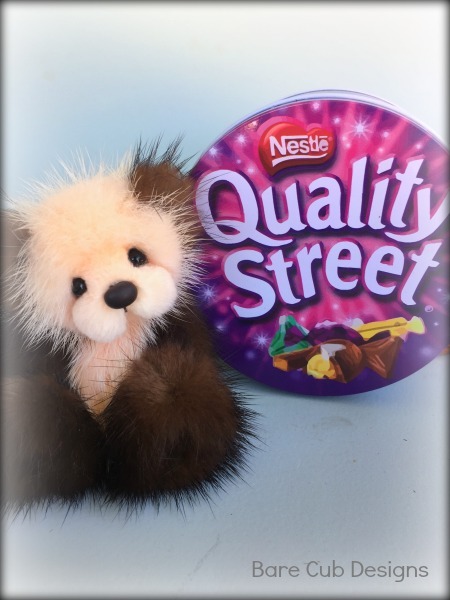 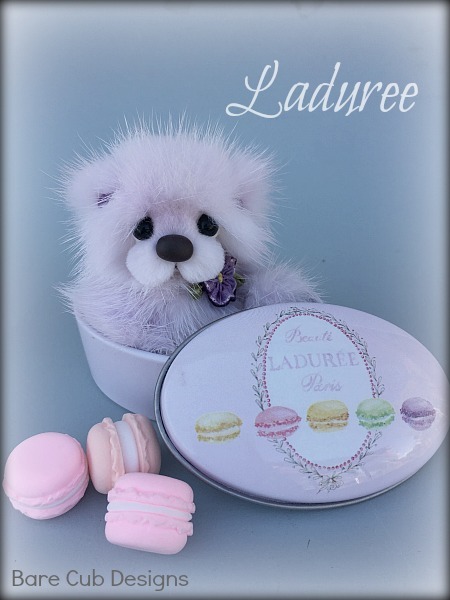 bombshell bears for sassy collectors! 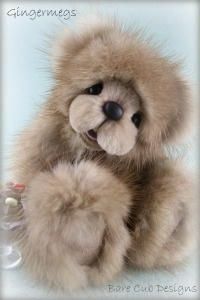 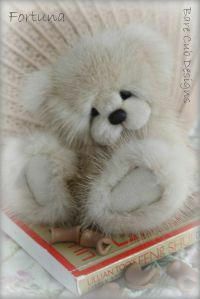 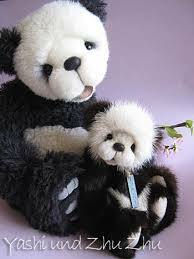 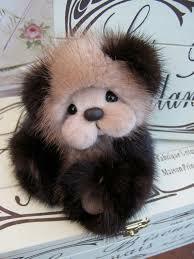 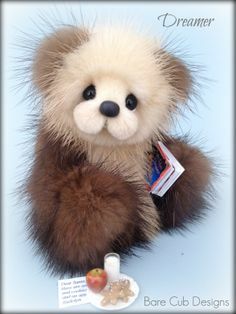 Making these bears, sends me into a trance, I can scissor sculpt those cheeks for hours. 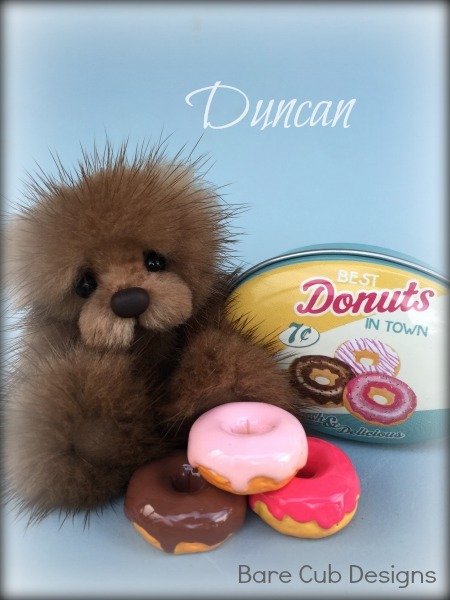 Now I will confess, I have a real sweet tooth and clearly inspires my collections. 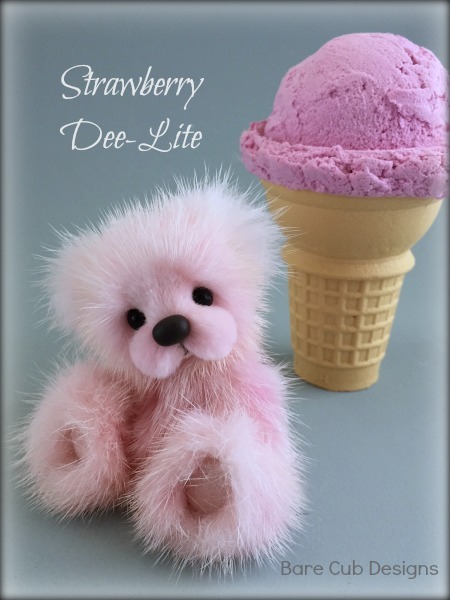 While I love the natural chocolate, caramels and creams, sometimes there is a need for a strawberry or spearmint fur, so I hand-shade the fur from time-to-time. 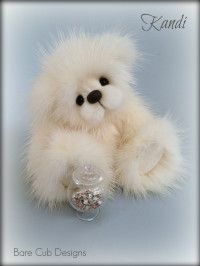 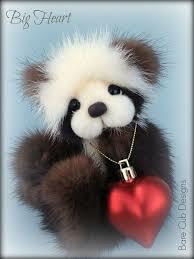 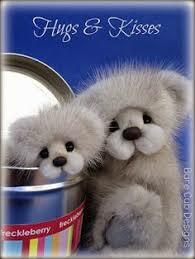 If one of the cubs pulls at your heart strings, drop me an email -I'd love to hear who you love. 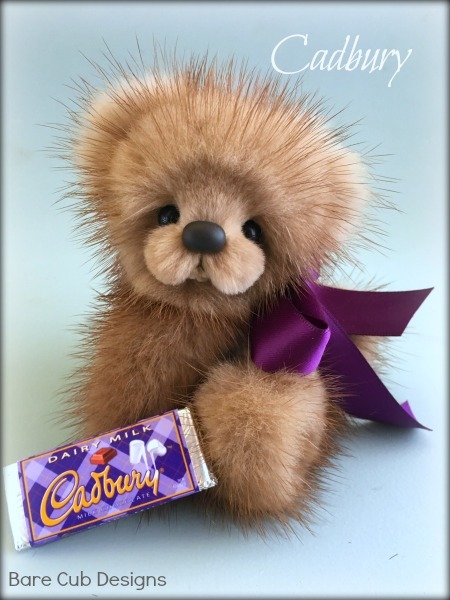 These cubs have found homes all over the world with my beautiful collectors. 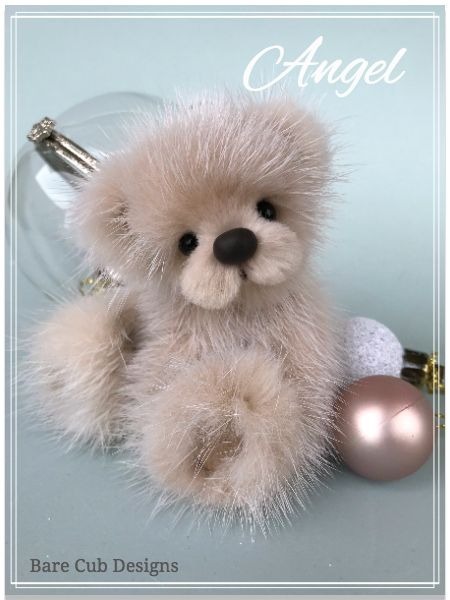 They are sold right here on this site and quickly adopted. 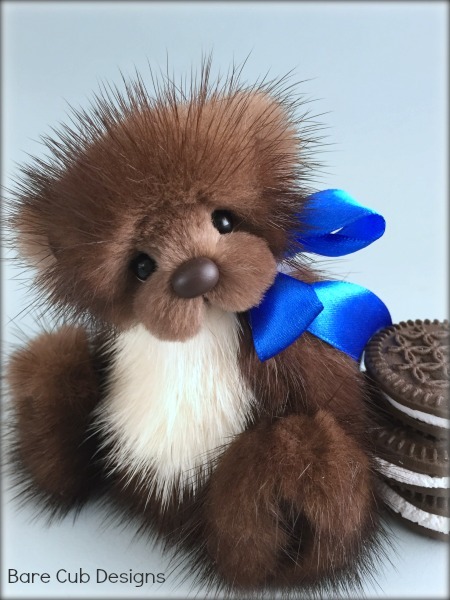 If you would like to be first to know when a new Bare Cub Design is available for adoption, be sure to click the button below and I'll email you each time I complete a new cub! 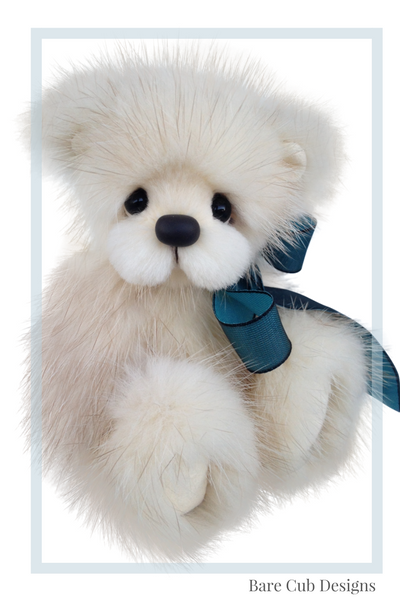 Sign up with your email address to receive announcements of new cubs! 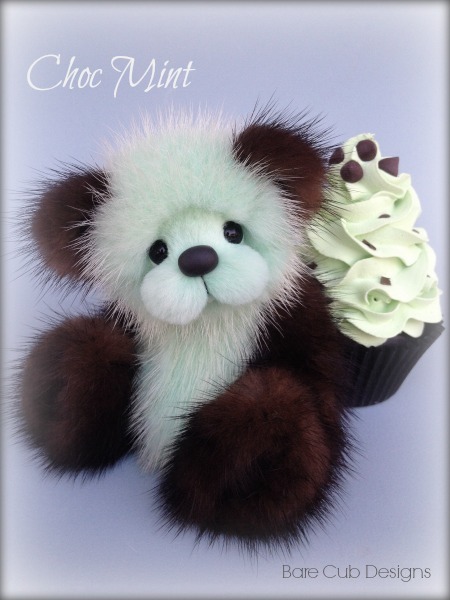 Be the first to know as new cubs as they become available for adoption..